Energy Bite | Episode 188: Will we ever run out of fossil fuels? Have you ever wondered if we’ll ever run out of fossil fuels? On this week’s Energy Bite, Daniel Posen, a recent PhD graduate of Carnegie Mellon University, has some answers. HOST: Have you ever worried that we might run out of fossil fuels? On this week’s Energy Bite, Daniel Posen, a recent PhD graduate of Carnegie Mellon University has some answers. DANIEL: Fossil fuels like coal, oil and natural gas were formed a very long time ago from decaying plant and animal matter creating deposits of energy underground. Unlike renewable sources such as wind and solar power, fossil fuels would take millions of years to replace. Current estimates suggest that we could run out of oil in about 50 years, natural gas in 60 years and coal in 120 years. But, in reality, we have more years’ worth of fossil fuels available now than we did 30 years ago. HOST: How can that be? DANIEL: Over time, we’ve discovered new fossil fuel deposits, and have developed new technologies for extracting them. As prices for fossil fuels rise, deposits that were previously too expensive to access suddenly become viable. As a result, our fossil fuel reserves have actually grown almost every year, despite our continued consumption. Of course, this trend cannot continue forever as we are indeed running out of cheap fossil fuels. As fossil fuels stop being economically feasible, we’ll have to switch to new sources of energy at some point. HOST: Are you worried that we may run out of fossil fuels? 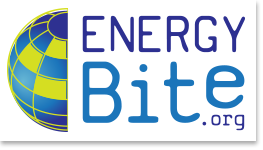 Take our poll, see the results, and ask your energy questions at Energy Bite dot org. ← Episode 187: What is crude oil and how do we turn it into useful products?